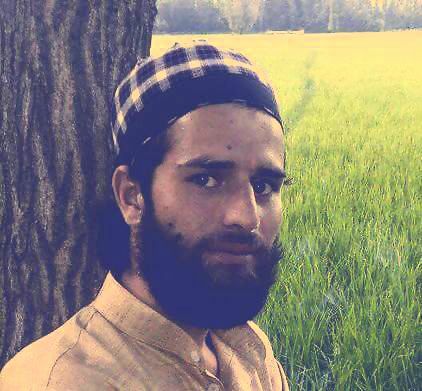 Before 20-year-old Mohammad Saleem Parry joined the band of Lashkar-e-Toiba (LeT) militants in his hometown Hajan, the people who know him closely describe him as a “marvelous mechanic”, dreaming to work abroad in an automobile company. Saleem belongs to a well off family whose substantial income comes from agricultural land, and according to his family, the young boy “never complained about things” till the news of his disappearance into the woods this October came as a bombshell to his family and friends. On the morning of 22 October, Saleem left his home to purchase some items for his shop. He returned back at 5:30 p.m. and immediately retired to his room to offer Asr (afternoon) prayers, without taking meals. “He was quite tired and rested after that, but soon enough the call for Magrib (evening) prayers woke him up and he left for the mosque,” Hajira, mother of Saleem told Wande Magazine. “But he didn’t return from the mosque. We waited till late but he was nowhere to be seen,” she said. It was only two days later that the family came to know that Saleem, who is known by the nickname Billa, has joined the militant ranks. “A village head came to us with the news. The police had told him about Saleem. We were quite shocked as we didn’t expect Billa to take up arms,” Hajira said. Saleem’s friends describe him as an obedient boy. “He would never discuss militancy or Kashmir conflict with us,” said Ishfaq, a childhood friend of Saleem. “Like his family, I too was shocked to learn that he has joined the militant ranks,” he added. Hajan, a town in Bandipora district, is infamous for being the former bastion of pro-India militia, locally known as Ikhwan, and also the hometown of some notorious militia heads like Kukka Parrey, witnessed a long lull after its last local militant Abdul Qayoom Parrey of Parrey Mohalla was killed in an encounter with government forces in 2005. But the lull was soon broken earlier this year in May when two local youth, Abid Hamid Mir and Nasrullah, joined the insurgent ranks, the first two to do so in more than a decade. 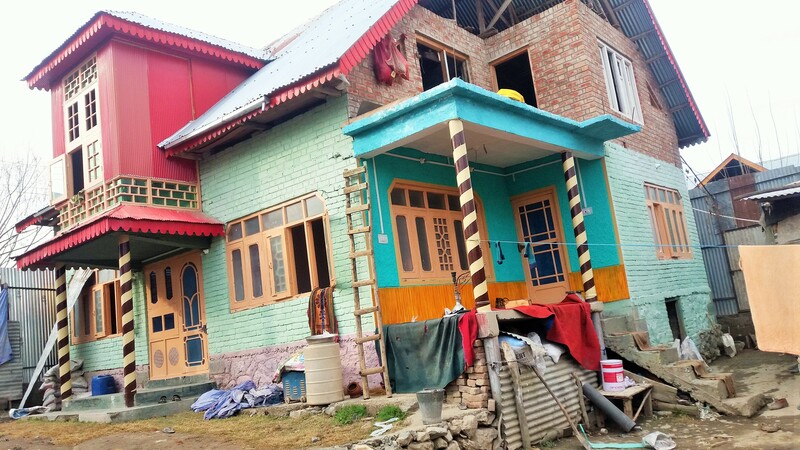 Abid and Nasrullah’s militant life was short-lived after both were killed in separate encounters with government forces in different parts of Kashmir. The killings sparked protests in the town and thousands attended the funeral of the two boys, who many now believe have resurrected the tarnished image of Hajan as an Ikhwan capital to a “resistance hotbed”. Saleem is the third local to have taken up arms. Of late, Hajan has witnessed several encounters between government forces and militants, resulting in the death of both militants and forces’ personnel. People––young and old, men and females, some of them even getting injured––are seen throwing bricks and rock on forces during cordon and search operations meant to trap militants. There is a renewed and visible passion among the young generation of Hajan. Saleem’s father, Ghulam Mohammad Parrey, 50, is a government employee in sericulture department of the State, while his siblings are doing well in life. His younger brother, Mohammad Azhar, has completed his master’s degree in economics from Aligarh Muslim University. Aspiring to be a civil servant, he has already cleared the first phase of Kashmir Administrative Services exam. Saleem dropped out of school in 10th standard to start his own mechanical shop in the main market of Hajan where he repaired vehicles for three years before he fled his house on the evening of 22 October 2017. Danish Ahmad Parrey, 23, the elder brother of Saleem, recalled the day when his brother left home to offer evening prayer in the village mosque with a promise to return soon. “We are yet to believe that he has not returned till today. We called him repeatedly only to find his phone switched off,” Danish said. “We tried to enquire about his whereabouts from his friends and our relatives but everyone was clueless,” he added. In a span of three years, Saleem earned name for being a “distinguished” auto mechanic among the transporters who would come to his shop to fix snags in their vehicles. “Saleem would technically handle all kinds of snags in vehicles by a single touch,” said a driver. His neighbours remember him as a pious soul. “He was a religious guy who would offer every prayer on time,” recalled one of his neighbours. Days after him joining LeT, his photos are being circulated by netizens on social network, corroborating the police’s claims of him having joined armed ranks. “He was against taking photographs, that is why he has not posted any photo carrying AK-47 in his hands yet, as young Kashmiri typically announce that they have become fighters,” said one of his family members. His mother, Hajira, said her son was readying to move abroad for a mechanical job. “Saleem dreamed of going abroad to work in automobile industry. Even, days before he left, he was busy in collecting documents required for applying a passport,” she said. “But we don’t understand how the decision of joining militants popped up in his mind suddenly,” she added. In his short span as a militant, he is believed to have escaped several cordons and search operations. The bravado has earned him praise and admiration by people in his village. His family blames the “excesses” of government forces for what he has chosen. “Excessive force on my son forced him to join militants. Whenever there was a law and order problem in our village, forces would come to our home to pick him up. Our house was stoned by forces several times by them,” his family said. “Police would handcuff and blindfold him to police station in darkness on false allegations of participating in stone pelting, the fact was that he never resorted to stone pelting,” his father blamed. “Since then he nurtured an emotion stronger than stone pelting,” he said. Parrey family has a long history of being victims of high-handedness of government forces. “During the execution of Muhammad Afzal Guru on 9 February, 2014 in Indian Parliament attack case, forces while chasing the protesting youth of the village ransacked the window panes of our house with boulders and bamboo sticks. My son has seen a lot of forces’ harassment which changed his behavior,” the father alleged. “We had to spend around 20,000 for repairing the damaged windows,” he said. Parrey recalled an incident when cops inside a police station manhandled him before his sons. “Some time ago, my elder son, Zahoor Ahmad Parrey, was in a police lockup at Hajan. And I was summoned by Station House Office (SHO), Hajan to come over to police station. 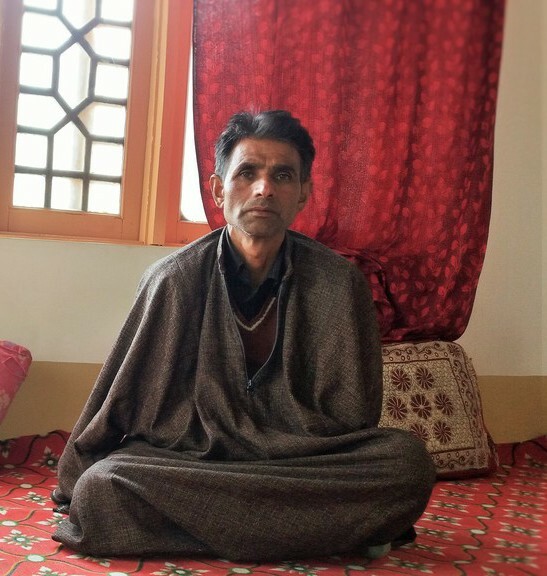 When I went there, I was beaten to pulp in front of my children and relatives and I wept before the officer, tears were rolling from my eyes, but he didn’t listen to me,” 50-year-old father of Saleem said at his home in Hajan. “Since then I could say my son nurtured a strong emotion against this oppression and this might be a reason of my son’s joining hands with militants,” he said. The family blamed police for falsely implicating their elder son, Zahoor, in 2014. In 2015, Saleem desired to open an automobile repair shop to supplement his family income. His father applied for a loan to help in fulfilling his son’s wish. “When I got to know about my son’s interest in opening a shop, I decided to help him, even though I had very little at my disposal at that time. That shop lies unattended for months now,” Parrey lamented. Since Saleem joined LeT, the police harassment has increased, demanding the family to handover their militant son to them. “I had to spent a couple of days in police lockup a week ago, because they wanted me to handover my son to them,” Parrey said. His mother blamed the “brutal torture” which Saleem had to face at the hands of police at different times. “Reality is this that Saleem never participated in any stone pelting neither he had any FIR registered against him before he joined militants,” Hajira accused. “My son worked hard from dawn to dusk at his shop so that he would build a new house for his family. But forces would come to our house and ransack it,” she said while sitting inside a room whose windowpanes and doors were cracked by forces recently when they were chasing protesters. Windows of the room have been covered with tarpaulin to prevent the chilly winter air from entering the room. Since Saleem left home for militants, army and other forces have raided their house many times. “We don’t know where he is. Many times police took all family members to police station and harassed us there,” said a family member. Police is forcing Parrey family to persuade their son to surrender. “Where will we find our son? It is impossible for him to come back,” said one of the family members.